About two weeks ago, we told you that Minecraft Pocket Edition would become available for all Android devices by September 29th. Obviously, that didn't happen, because there was a major bug that needed to be ironed out before the release could be made. 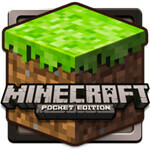 Now, that bug has been ironed, and Minecraft is available for most Android devices. We say most because you need to have the horsepower to run the game, but not many have complained about the game not running well. We tested it out on a Nexus One, and it worked perfectly fine. Although, we should mention that even if you are a die-hard Minecraft fan, this is an extremely limited version of Minecraft. By that, we mean there is no mining and no crafting. The game gives you an array of blocks and torches and you can build and destroy, that's it right now. If that sounds good, you can pick up Minecraft in the Android Market for $6.99. Although if you want to try it out to make sure you like it and that it runs well on your device, there is also a demo version that you can try out. I'm willing to bet that for that price (which is about as high as I've seen games priced on the Market) they'll add features as they figure out ways to make them work effectively on mobile. I know they are definitely planning to add Survival mode and other online modes, but for right now, it is pretty expensive given the limitations. It's digital LEGO. What's not to like? Dude, I still have a lego model I built ten years ago of a starcruiser I designed. That thing is NEVER gettin' wrecked, lol. I'll get the demo and see how well it runs on my phone. Given it has the best processor to date, I think it will handle nicely. Yes, yes...indeed. are they going to include the option to play in online servers? I think it is already multiplayer. Oh my god, Minecraft. You are evil. I went from midnight until 3:30 playing you last night. No wonder my best friend loves this game to pieces. Yeah, without survival/adventure it's not AS entertaining, but still loads of fun as is.